Photo courtesy of Alan Maricle. Someone had better exspleen how this works. Dr: Do you know anything about organ transplants? Fred Nerk: No. But I’ve relocated a couple of pianos. I see the Engrish. It’s lover. No man steps in the same liver twice. @DNT 0430.No problemo hombre. The docs could just divide the Liver in two. The liver is the only major organ in the body, which can regrow. That is why an adult liver can be transplanted into a child. They just cut it down until it fits, then it grows as the child grows. Knowledge of anatomy is useful in self-defence. Liver is on the right side front, below the rib-cage. The spleen is on the left side, just under the short ribs. To flail away at random, is a waste of energy and time. and may get you killed. The idea is to disable your enemy as fast and efficiently as possible. After all, he may have some mates just around the corner. Once you have achieved that, run away as fast as all HELL. You have won the battle. DO NOT TRY TO WIN THE WAR. I believe in victory, not death or victory. Success? 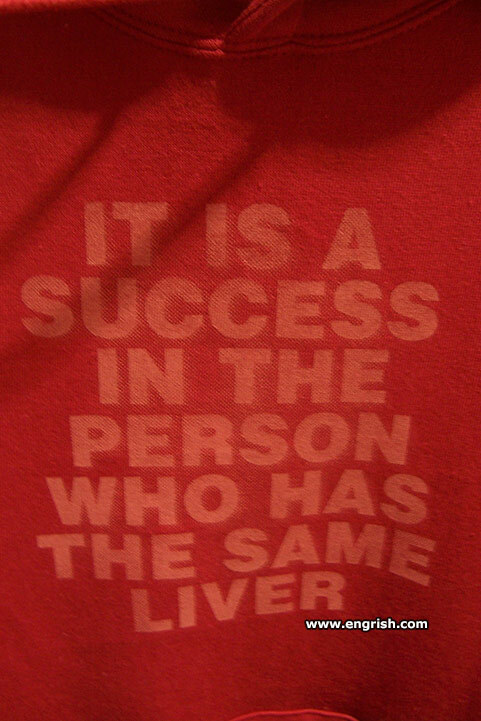 Considering that the liver regenerates about every 6 weeks, having the same liver would be a miracle! I’m Cess. Pucker up baby! I have a feeling, that this may have been written on the liver, by the doctor who did the transplant. And turned him into chopped lover. The same liver as … who?